Mhlasapati, a simple rustic goldsmith of small village like Shirdi, is counted among closest and foremost devotees of Sai Baba and it is very much correct to be considered so. Mhlasapati, the name each and every devotee of Baba is familiar, named, with divine instinct, the guest Fakir as 'Sai'. Mhlasapati was the only one who adhering to Baba's words as a true devotee, sat for three consecutive days with Baba's body in his lap when He took short Mahasamadhi in the year 1886. If Baba had not made this blessed soul a medium, the history of His life would have been incomplete and thus importance of Sai Baba's name would not have fallen in our ears. 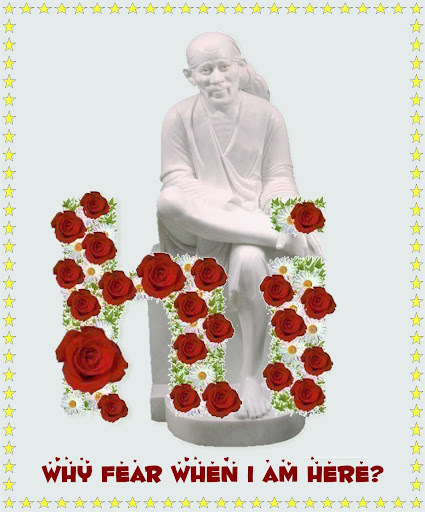 Another fact depicting importance of Mhlasapati is that he was the first person, a staunch Hindu, who started worshiping Sai Baba at the time when all villagers of Shirdi considered Baba as a Muslim saint and took him up as his Guru. He applied Chandan (Sandalwood) Paste to Baba's neck and offered Him flowers. Nobody else except Mhlasapati had the permission to do so which became a routine and gradually Mhlasapti started applying tilak of sandalwood paste on Baba's forehead. Also Mhlasapati was the one from whom Baba accepted milk as a part of his worship. Nana Saheb Dengle also wanted to perform pooja to Baba in the same manner, but could not succeed inspite of several requests. Baba used to say, "Worship this pole of Dwarkamai's Masjid, not Me". But nobody could satisfy their thirst of worshiping Baba in their own way through an inanimate thing like a pole. On intervention of another close devotee of Baba, Dagdu Dengle succeeded to seek Baba's permission to worship Him as he pleased. Thus, this weak poojari of Khandoba temple who fed himself and his family by begging alms, can be considered as the key person in starting proper method of worship to Baba. Mhlasapati considered 'Mhlasapti (Khandoba) Puran' as his Ramayan and he read it daily without fail and also he used to read it among 150 audience of goldsmith community. Every year, he used to go to Jejuri (about 150 miles away from Shirdi) taking Palki and other devotees in procession. While being in meditation sometimes, Mhlasapati could see near future and could describe it. He was completely pure, simple, trust-worthy, pious and religious human. Such a person is liable for God's blessings and God, with the help of such a body highlight deep-penetrated secrets to ignorant persons. Mhlasapti was detached with worldly desires. The amount received from donations in temple was used up for its expenses. In the name of property, he had a mud-house in Shirdi and a land of seven acres which could not be harvested due to shortage of water. Also Khandoba temple was made up of mud and was situated on Shirdi's border. He worked as a goldsmith to run his family expenses, but Shirdi being a small village, people did not earn that much money which would suffice to buy gold. Mhlasapati being engaged in God's bhajans would always be carefree from financial worries. Often in the state of meditation, he saw dreams!!! His main goal of life was to get rid from cycle of life and death. He prayed to Lord Khandoba to give him this blessing only. Khandoba is considered as an incarnation of Lord Shiva Who is said to give liberation. He was ever conscious about the goal of liberation and thus he acted in pure, devoted way and used to be in company of good personalities. Though existing in 19th century, Mhlasapti with people belonging to any caste were equal. He did not possessed hatred for anyone. So, it was his practice to welcome any saint visiting Shirdi like Jankidas, Devidas and many alike and arranging for their food and lodging. Two others, Kashiram Shimpi and Appa Bhil were also of similar nature and thus the trio used to get together and served guest Saints in Shirdi. Kashiram Shimpi and Appa Bhil used to serve in the limits which their pockets allow, but Mhlasapati, though poor readily served saints with his heart and body (Tan and Man). Thus every saint (Fakir) visiting Shirdi got warm welcome and respect. 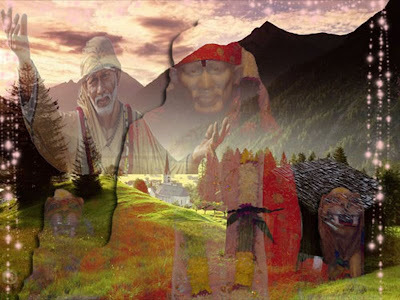 It was good fortune and relation of past births that Mhlasapti could spend about 50 years of his life with Sai Baba. In the year 1872, when Baba first came to Shirdi in marriage procession of Chand Patil said, "This place (Khandoba temple) is appropriate for a Fakir like Me". As per Muslim custom, idol worship is prohibited and Baba was fully aware of such customs. Also He knew fully about Mhlasapti's disagreement of keeping a muslim Fakir in Khandoba temple, so Baba said, "God of Hindu, Muslim, Christians and Sikh is the same, but if you object My staying here. I go away"
Now moving further, let's see how Baba maintained His relationship with Mhlasapati. Being on intimate terms, Baba sometimes directly and sometimes indirectly, advised Mhlasapti on the path of spirituality. Towards the end of 18th century, Mhlasapati developed disguist from his life with the death of his only son. Now he was left with three unmarried daughters with a big responsibility on his shoulders. The land of seven acres, which he possessed reproduced nothing due to its infertility and shortage of water and money. Nor did the profession of goldsmith fledged him enough money. Now only remedy left with him was to adhere to the orders of his family deity Lord Khandoba. Once Lord Khandoba appeared in his dream and said, "Take Lord Khandoba's idol from the temple to your home and worship Him there". In another dream Lord Khandoba appeared as an old man and said, "Do you think that you will not get food, if you leave the profession of goldsmith?" Mhlasapati replied in dream, "I will leave this profession". Again Lord Khandoba said, "Touch My Feet and hold them tightly." This dream meant that Lord Khandoba wanted Mhlasapti to leave all burden of earning, He will be taking care of these matters since then. Only one thing required from Mhlasapti was his undivided attention and refuge in Lord Khandoba's Holy Feet and not to accept for any financial support from profession of goldsmith. Hereafter Mhlasapati left gold business and adopted life style of a Sanyasi. He begged alms and stopped sleeping at home leaving behind his wife and three daughters because in other case it increased his worldly attachments. In fact Mhlasapti had only two works left - one to be with Sai Baba all the time and two to sleep with Him. Mhlasapti received great pleasure in the company of Sai Baba. So he never left Baba, even while sleeping he was with Baba. Baba used to sleep alternatively in Dwarkamai and Chavadi. The same was followed by Mhlasapati. Before 1898, Mhlasapati accompanied Baba only in Chavadi, but after 1898, when Baba broke wooden plank, he started sleeping in Dwarkamai too. In the year 1896, Baba said to him, "Oh Bhagat, listen to my Fakir-some words, they are always true. Why do you sleep with Me? Go and sleep at your home". Mhlasapati was not all ready to leave Baba and sleep at home. But his friend Kashiram Shimpi pressed him to go home and took Mhlasapati to his home. Now Mhlasapti started sleeping at home from Janmashtami 1896 and in next Janmashtami 1897 a son was born to him. Mhalsapati was the hereditary priest of Khandoba Temple, and hereditary goldsmith of Shirdi (though later he gave up this trade). His education was minimal, but he was noted for his piousness. He also used to receive and help visiting fakirs, and sadhus such as Devidas and Janakidas. His income was so scant that he and his family would sometimes have to go without food, but absorbed as he was in his religious practices, this did not seem to disturb him unduly. Mhalsapati was so identified with his God, Khandoba, that he sometimes entered trances and talked as if possessed by him. In this way, he fulfilled the role of village shaman and villagers would put questions to Khandoba, via the medium of Mhalsapati. In 1886 Mhalsapati was entrusted with a very important responsibility that was literally a matter of life and death, and which had far-reaching implications. Baba, who had been suffering from breathing difficulties, told him that he was "going to Allah", and that Mhalsapati should look after his body for three days. "If I do not return," said Baba, "then get it buried near the neem tree." On uttering these words, Baba passed out. Mhalsapati sat for three days with Baba's body on his lap. When village officers held an inquest and declared Baba dead, Mhalsapati remained steadfast and refused to allow them to take the body for burial. After this, Baba revived to live for another thirty-two years! In such ways, Mhalsapati gave continued and devoted service to Baba throughout. In return, Baba guided and protected him, and kept him on a high moral and spiritual course. In his Life of Sai Baba B. V. Narasimhaswami has recorded some of the many occasions on which Baba came to Mhalsapati's aid during their long association. They include curing his wife's throat tumour, manifesting to Mhalsapati at Jejuri 150 miles away to reassure him that his party would not be touched by the plague that raged there, and warning him of the peril of coming events (such as a snake on his pathway home, a fight in a house he was to visit, an insulting situation at another, etc). Mhalsapati survived Baba by four years. During that time he continued to sleep in the mosque, perform daily worship of Baba and Khandoba, observe mouna (silence) and sit in meditation. Baba had moulded this simple and conservative yet dedicated priest into a paragon of spiritual excellence. An indication of his attainment is the mode of his death. On an auspicious ekadasi day, Mhalsapati gave instructions to his family and told them that he would "close [his] earthly life and go to heaven" that day. With his loved ones around him chanting Ramachandra japa, and himself uttering the word "Ram", he left consciously and peacefully. It was a fitting end to a lofty life of spiritual endeavour. Mhalsapati's remains are interred in his modest house, where his great grandson now lives. It is open to visitors and some people like to worship at the samadhi and take darshan of the things here that Baba gave Mhalsapati. One of Baba's kafnis, one of his satkas, three coins, some udi and a pair of Baba's padukas are kept here. 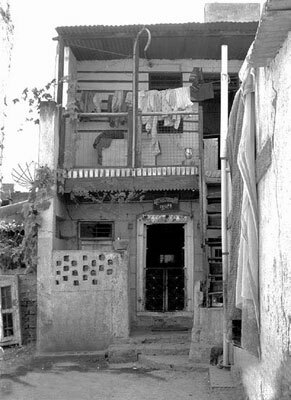 The house is located just beyond Laxmibai Shinde's place, a little further up the lane at the next opening. The walls are painted and there is a sign above the door. • Importance of charity has been depicted in almost all religions and Baba, Who did not belong to any particular sect or cult, reminded His devotees of this virtue as the foremost one. Nevertheless His devotees were constantly advised to give away charity without expectation of any reciprocation and it must be free from any feeling of showing gratefulness to the acceptor. But this is not put into practice by us as required. Baba, giving advice to Nanasaheb in this respect once said, "Nana, if anybody comes to you and asks anything, let alone alms, satisfy that person's demand as per your capacity. Do not say 'No'. If you are not inclined to give, answer him humbly describing your incapacity, but do not be angry with the person or laugh at him. If you have anything with you and do not wish to give, do not give but don't lie that the thing is not with you. Deny him with due respects and bear this in mind forever". Then time came when this advice was to be put into practice and Nanasaheb did not act as advised. Let's see how. • Happy and sad days alternatively come in our lives. We are very much attached to our family members and are always worried about their welfare and well-being. Thus it is painful when any of our family member dies. Nanasaheb also had to face such a situation. Baba has always said to His devotees, "Everyone comes and take away what they desire and wish, but no one even asks for the treasure which I wish to give". Baba saved life of Mainatai (Nanasaheb's daughter) by sending Udi at her delivery time, but the baby died after few months. Even before birth of the baby, Mainatai's husband died. So she became widow at a very tender age and that too childless. This was a reason of worry of Nanasaheb and his family. When he went to Shirdi, Nanasaheb sat quietly in Dwarkamai. At other times, Nanasaheb and Baba used to talk with no pause and persons present in Dwarkamai drink that nectar to their heart's content, but that day it was otherwise with Them. When Baba could no longer tolerate the silence, He directly started talking with Nanasaheb not minding his silence. He added and said, if you have come for baby and son-in-law to Me, then your coming here is useless. Birth and death, all these depend on previous births deeds. Even Almighty God's powers are limited in this case and they cannot bring about any change in this phenomenon. Is is possible to ask sun or moon to arise two yards away from their original position? This is not possible and if done, all balance of nature will get disturbed. Every two and half years, Adhik Radha Prurshottam named Holy month comes. Thus in this way, every nineteen years, Adhik Maas (month) comes along with Ashaadh Maas. Ashaadh month followed by Ashaadh Adhik Maas is named as Kokila Ashaadh. In this month, married women worship Lord Shankar and Parvati. Women get up early in the morning and go to river for bath. The vrat story of Kokila vrat consists of total thirty chapters, so women read one chapter per day and complete the whole story in one month. After reading one chapter, women listen to cooing of cuckoo (Kokila means cuckoo) and then only take one time meal and observe fast for rest of the day. Women do not partake any food until they hear the cooing of the cuckoo. In urban areas to listen to cooing of cuckoo is a rare thing, so women go to a village or reside near a river bank and observe this fast. It is compulsory to conclude the fast in the same place where it has been started. Thus to observe this fast and to conclude it as per rules specified, women stayed in any village or on river bank for one month. A lady named Chandrabai Borkar was Baba's ardent devotee. Her husband was railway employee. In the year 1912, he was serving at Pandharpur railway station. In that year Ashadhi Adik Maas came and Baba advised Chandrabai, "You do Kokila vrat. Lord Shiva will be pleased with you and He will take care of your family's welfare". Adhering to Baba's words, Chandrabai chose pure and clean place near Godavari river in Kopergaon village. On one fine day, Chandrabai was doing pradikshana in Shiv temple after finishing Arti. A young Fakir came and stood before her. He started saying thus, "Maai Mala Guda Chi Poli Ani Lasan Chi Chatani Dyaa meaning O mother please give me jaggery chapati with garlic paste (garlic pounded with spices, salt and sometimes with old)"
Chandrabai said, "Baba, we observe vrat of Chaturmaas - four months from July to October and so we do not consume onion and garlic in these four months. Moreover, I dont have any house of mine here. I am staying here to observe Kokila vart". Fakir said with a smile on His face and without any sign of disappointment, "Dennar Pan Chaangla Naahi Denaar Pan Changlaa meaning Welfare be to the one who gives and also to the one who does not give". After that Fakir left, when Chandrabai recalled that incident she felt that the Fakir has same glow on his face which she saw on Baba's face in Shirdi. She thought, "To conclude my Kokila vrat I cannot go to Shirdi and offer anything to Baba, but when He came to me, I sent him empty handed!!! Who is more misfortunate than me? God came to my place and I sent him without giving Him anything". She became very restless at night and said to herself, "The night is not passing quickly". 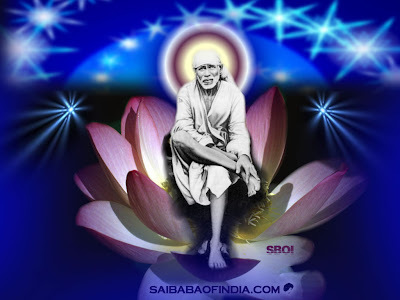 She mentally started praying to Baba, "O my loving Sai Nath! please pass this black long night quickly, so that I can come to Shirdi to have Your darshan". Somehow night passed and she woke up early, quickly finished off her morning chores, prepared jaggery chapati and garlic paste for Baba and set off for Shirdi. On reaching Shirdi, she saw that Baba was returning from Lendibaug. She immediately fell at Baba's feet. She was very content with Baba's darshan and her love flowed in form of tears. After this noon arti was performed by Bapusaheb Jog in Dwarkamai. Baba sent all devotees to their lodgings and homes and Chandrabai then offered jaggery chapati and garlic paste made out of love to Baba. Baba said, "When I came to you to get My desired thing, you did not give me, now why have you come to Me with these things?" 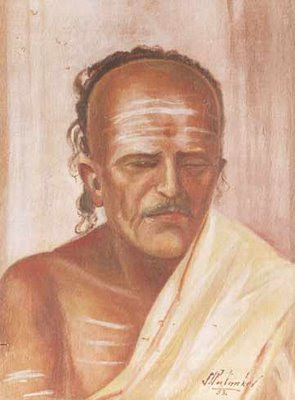 Chandrabai said, "Ignorant being as I am, I could not recognise You but now I have come to You with Your desired food". Baba said to others, "She is my sister from seven births. Wherever I go she finds me and comes to me" and turned to Chandrabai and said, "Go your vrat will be be fruitful". In this way Baba blessed Chandrabai. Chandrabai realised that Lord Shiva had taken form of Sai Baba for completing Kokila vrat and thus her joy knew no bounds. She concluded Kokila vrat as given in Shashtras and returned Pandharpur quite contended and happy. In the above post we came to know how Sai Baba became one with Lord Shiva and blessed Chandrabai Borkar while she was observing Kokila Vrat. Now we shall see how Sai Baba gave her honour as first worshipper of Upasani Maharaj who resided in Khandoba Temple. 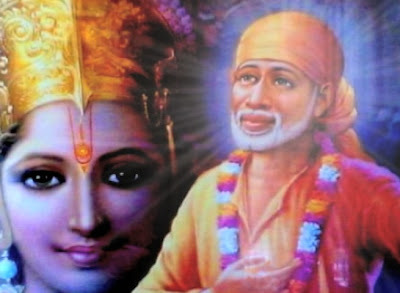 A short reference of Upasani Maharaj has been given in Sai Satcharitra. When it was proposed to install Baba's Padukas as a remembrance of His first advent in Shirdi, it was Upasani Maharaj who suggested the sloka to be inscribed on Padukas depicting importance of Sweet Neem tree. This verse is incorporated in third verse of Sai Mahim Strotram. Sai Mahim Strotram is sung during Madhyayan Arti and Dhoop Arti. Now let's proceed to the main story. It was Friday and Gurupoornima. Chandrabai was seated in Dwarkamai with pooja articles waiting for her turn to worship Sai Baba. Dwarkamai was crowded to suffocation. Many devotees had turned up for Baba's darshan due to Gurupoornima. Everyone was waiting for his/her turn. Chandrabai's pooja dish had all sorts of pooja articles in her dish. It contained Haldi (turmeric powder), Kumkum (red-coloured powder), rice grains (Akshat), a small bottle of Attar (perfume or scent), fruits and milk. Baba said, "Go to Vithoba's place!" Baba used to call Lord Khandoba as Lord Vithoba. Lord Khandoba is said to be an incarnation of Lord Shiva while Vithoda is Lord of Vishnu and Vaishnav caste. Orthodox thinking prevailed in those days. Ignorant people of Vaishnav caste did not enter Lord Shiva temple. By symbolizing Khandoba as Vithoba, Sai Baba explained His devotees that there is least difference between them and there are one and the same. Chandrabai said, "O God! You are asking me to go to Lord Vithoba's temple. Upasani Maharaj, who in always in meditation, throws pooja plate if anyone goes to worship Him. Even more sometimes there are chances of getting beating also." Sai Baba who are wanted to give her a special honour pointed pooja plate and again said, "Take it and go to Vithoba temple". Chandrabai was Baba's true devotee and His word was order which she could not deny. She was determined to abide by Baba's words even if she had to undergo many difficulties. She went to Khandoba temple and worshipped Upasani Maharaj to which Upasani Maharaj also did not object. Thus Baba gave her honour of first worshipper of Upasani Maharaj. Mankar, many a times, used to talk about Baba to Dr. Sitaram. He used to say, "Sai Baba is not Muslim Fakir, He is an ocean of truth, follower of preachings of Vedas, He incarnated in Shirdi for the benefit of the world, I am an ignorant person to describe Baba's nature and love in Godly way. Thus whatever may come, you please go to Shirdi once for Darshan of Sai Baba. Doctor replied, "My head will not bow down to any God other than Lord Rama". Mankar said," Doctor! Never mind if you dont bow to Sai Baba, its your wish. 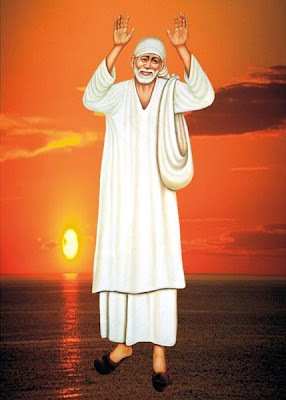 Baba will ask you to bow down to Him, instead Sai Baba says - as you sow, so shall you reap by coming Here." After sometime Christmas holidays commenced. Mamlatdar Mankar and Dr. Sitaram went to Shirdi on December 21. As soon as Dr. Sitaram climbed steps of Dwarkamai, he was surprised. He saw Lord Rama on Sai Baba's seat. He was so engrossed and surprised to see Lord Rama. He bowed to Baba with folded hands. At the time of returning to lodging, Mankar asked Doctor, "What happened? You were determined not to go to that Fakir but were the first to bow to Him as soon as you climb the steps of Dwarkamai". Doctor, who was over flowing with emotions replied, "This is not a fakir, but My Parabrahma Lord Rama! Mankar Saheb, how can I narrate my experience to you. Today good deeds of my this birth and many previous births have been fruitful as I had very good Darshan of Lord Rama." Doctor added, "I will not partake food and also will not go to Dwarkamai unless Parabrahma Ram Sai Baba blesses me." So Doctor resided in Shirdi only. Like this three days passed and Doctor didnt partake food nor went to Dwarkamai as per his vow. On the fourth day, Baba's devotee named Vasantrao came. He was familiar with Doctor from long time. He was surprised to see Doctor in Shirdi as he knew that Doctor was staunch devotee of Lord Rama and it was otherwise with him to bow to any other God. Both the friends met after nine years in Shirdi. In this happiness Doctor forgot his vow and along with Vasantrao went to Dwarkamai holding his hand. Both bowed to Baba and sat in front of Him. Baba asked, "Who had come to call you at your place?" Hearing these words from Baba, Doctor was surprised and felt ashamed. Dr. Sitaram took food after four days at his lodgings and had sound sleep. In early morning Baba appeared in Doctor'ss dream and made him experience the eternal bliss. After taking Baba's leave, Doctor left for Kopergaon and he experienced the same bliss for fifteen days. ChhotuBai's family was prosperous in all aspects. Her first son Babu used to be sick often. To help ChhotuBai in her household chores, a Brahmin servant from Andhra Pradesh named Shivappa was appointed. He was staunch devotee of Lord Dattatreya. Once it so happened that Babu had high fever. Everyone in the house was tensed. Since members of Pradhan family were devotees of Sai Baba and had firm faith that Babu will be alright with His grace, Shivappa thought these people are unnecessarily running after this Fakir of Shirdi (Shirdiwale Fakir). His mind was full of doubts for Baba. He thought again that they were Hindus, followers of Vedic religion, worshippers of Lord Dattatreya. So if a Fakir's photograph is worshiped in a house, then it will surely attract misfortune. Same night Baba appeared in Shivappa's dream. Baba stood under the staircase of Moreshwar Pradhan's house, having a stick in his hand and a glowing face with rage, said, "I am Owner of this house. Who are you to interfere in our relations ?" Next day Babu's health was in most serious condition. 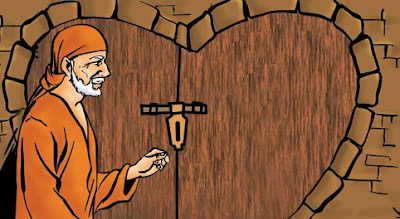 Shivappa went near Babu's bed and took a vow in his mind," If Babu ask for milk in next five minutes and is hail and hearty till tomorrow, I will accept the truth that Sai Baba is Himself Lord Dattatreya and also will go to Shirdi, bow to Him and offer 125 rupees." After 5 minutes, Babu turned around and asked for milk. Than he drank milk and next day morning he was on his legs playing merrily. From that day Shivappa became an ardent devotee of Baba, went to Shirdi, fulfilled his vow. After this incident he used to go to Shirdi for Baba's Darshan off and on. 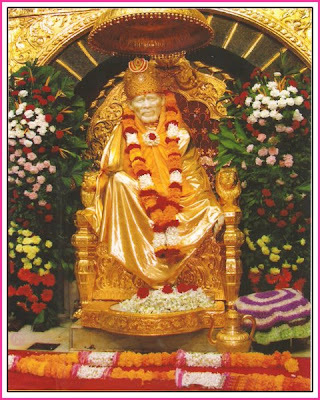 One day while sitting in Dwarkamai Sai Baba broke His silence and started narrating an incident as under…..
Once I went to Aurangabad while roaming here and there. There was a mosque with a big tamarind tree in its centre. A fakir lived in the mosque. His name was Matababa. I asked for his permission to stay in the mosque. Initially the fakir did not allow Me, I requested him again and again and at last after long discussion he agreed. An old woman lived nearby. That woman used to give a piece of roti to Matababa. Matababa used to live on that small piece of roti the whole day. He never begged food from anyone in the village. So I asked for his permission to go to beg food from the villagers, so that We can get that much quantity of food which is sufficient for both of Us. In this way about 12 years passed by begging food. After that I took permission to leave from Matababa. The fakir was in tears with the thought of My separation. At that time I consoled that fakir saying that I will come here again someday while roaming here and there. I never speak untruth and so to fulfill My promise I went to meet that fakir after four years. He was very happy to see Me again. That fakir of Aurangabad came to Shirdi before some years and I made him stay in Chavadi……in this way Sai Baba completed His story. 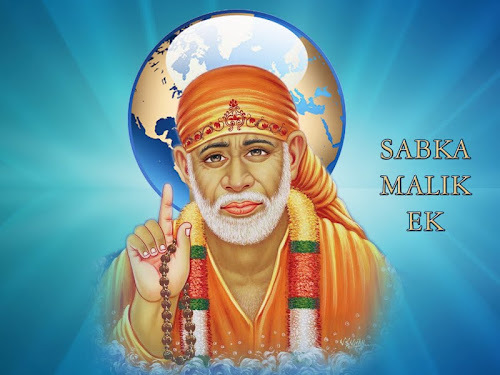 (There are some points in Sai Sarovar book after this sentence which has to be disclosed here is that…who was Matababa, when he came to Shirdi, these facts are available no where other than this book, Sai Baba only understands the meaning of His own confusing words). After a small pause, there was a slight disturbance in the silence of Dwarkamai when this conversation was going on. Some sparrows were chirping on the top of Dwarkamai. Shama asked, why all these sparrows are chirping here all together? To this Sai Baba replied, all these sparrows were born as sparrows in their previous birth and they are so lucky that in this birth also they are together. These sparrows used to sit on the top of Dwarkamai. But one day a snake came there and at once gulped up all the sparrows. (Here the author presents his thoughts like this….I think any snake cant gulp up all the sparrow at one stroke. Sai Baba must have symbolized snake for Yamraj). Due to the merits of their past birth God has gave them the form of sparrow in this birth also. Not only this they were born on the Holy Land of Shirdi. Today all of them have met and so they are expressing their happiness by chirping. Even God is incapable of describing their happiness. BABA SAI GUIDE US ALL AND BLESS US ALL. God is the Abode of Supreme Bliss and the embodiment of the pure Spirit and the Truth who is not touched by the polarities of pleasure and pain, sin and merit. Sai is the Perfect Master with a pure heart. 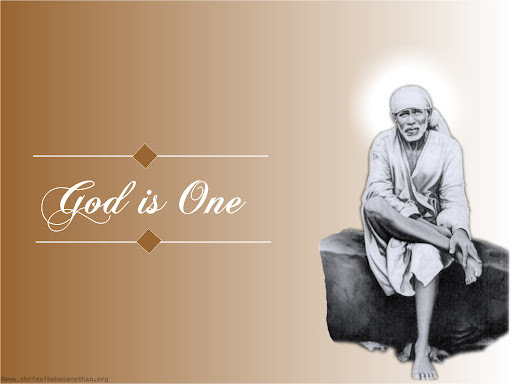 The Holy Trinity, viz., Brahma-Vishnu-Shiva assumed the form of Dattatreya, whose incarnation is Shirdi Sai. We should know that to have His darshan is to achieve the purpose of life. Baba's heart is filled with kindness and love. He took human birth although He is that Formless Absolute Reality. He moved among the commoners as commoner in flesh and blood and blessed the devotees cross the ocean of worldly life. Baba will indwell as Bliss in the heart of those devotees who have no desires or any trace of arrogance. Indeed, for people who would see, think and serve Baba with firm faith, He will appear in everyone as His Divinity pervades every being. When the deed is noble, God would help. Baba Himself declared that there is no difference between His picture and Himself. In this hectic world, we may not find time to sit and meditate. It is enough for a Baba devotee to recall the image of Sai and mentally sing Bhajans to Him. Chanting Sai's name removes all doubts and difficulties. There is no room for fears when we take refuge in Him. We can serenely shed our perishable body and merge with the immortal Baba. In the year 1910, on recommendation of Darvesh Shah, Chhote Khan went in Sai Baba's refuge. On his first visit to Shirdi, Sai Baba was standing in a lane and a lady bowed to His Holy Feet. Chhote Khan, on seeing Baba, went behind Him, stood there and started reciting First chapter of Kuran as per instruction of Dervesh Shah. As soon as Chhote Khan said, "Bismillah" then Baba turned back and angrily said, "Who are you? Are you My Father who has come to inquire about Me?" Baba then abused and scolded him much. Baba did not allow him to enter Dwarkamai, so Chhote Khan sat outside Dwarkamai. When Baba did not allow Chhote Khan to enter Masjid, Kaka Saheb Dixit and other devotees took Chhote Khan's side and approached Sai Baba on their own accord, "Baba why are You angry with Chhote Khan, we all are Your kids." Baba answered, "You call him a kid, he beat a master and killed him". Baba's words fitted well with an incident which happened with Chhote Khan. He was serving as a trooper in Nizam in the office of Mamlatdar. During police inquiry, he beat a master rudely because he did not reveal full information. The master then fell to ground in unconscious state with his mouth bleeding profusely. Thus mamlatdar asked Khan to resign, leave job and go away elsewhere. Fearing future inquiry on him, he left his job. Thenafter Khan went to Darvesh Shah from where he was destined to be received by Sai Baba with abuses. Sai Baba, knowing this incident, got angry with Khan and prohibited his entry in Masjid. After few days, Baba opened Dwarkamai's door for Khan when he went to Dwarkamai with Kasim, Jog and Kakasaheb Dixit. Baba blessed him saying, "Don't fear, Allah is Sole Protector. There will be no inquiry on you". Khan then, passed two months in Shirdi. Khan wanted Baba to advice him on pending case of land dispute. Baba adviced him, "You go without any worry. The dispute will be settled in your favour". The dispute was for acquiring a land which was in the name of Khan's mother-in-law (given to her by her mother-in-law). The dispute, as said by Baba was settled in Khan's favour and he got possession of that land. Nanasaheb Chandorkar went to Baba. After doing Pranipat (salutation), he placed Badam (almond) and Khadi Sakar (sugar candy) as Prasad. Baba immediately distributed it amongst the people who were present. Nanasaheb was curious to know the reason for Baba's calling him and asked, "Baba, why did You call me?" Baba replied, "Are, there are many Nanas in the world. When I called you specifically, there must be a reason for it. Isn't it?" Nansaheb was forthright in speaking. He said, "Then, tell me the reason !" Baba replied, "Are, we have relations spanning over four births. You do not know this; but I am aware of it. Therefore, I have been repeatedly calling you! Whenever you have time, do make it a post to come." Ok. I will come." Nanasaheb bowed before Baba and departed. Even after seeing the miracle of Annapoorna Siddhi, Nansaheb had not developed faith in Baba. A few days after the above incident, there was an onset of epidemic of plague of Nagar district. The government had introduced a vaccine to counter the illness. But, in those days, people thought that taking the injection was akin to inviting the disease. No one eas willing to come forward. Therefore, the collector asked Nanasaheb to set an example before the masses and take the injection himself. But, Nansaheb's thinking was no different than the others. He was reluctant tot take the vaccine. Ultimately, he decided to seek Baba’s advice. He requested the collector to grant him a week’s leave to take decision about the injection and set himself on the path to Shirdi. He posed his dilemma before Baba. Baba replied very casually, "There is nothing to it. Don’t be scared. Take the injection. It will not harm you." After the incident concerning inoculation, Nanasaheb realized that Baba had a different kind of aura around Him. Therefore, Nanasaheb’s faith in Baba became more steadfast. He started feeling that he should go more frequently to take Baba’s Darshan. He intensely desired that he should incessantly have thoughts about Baba. But, his office and family matters allowed him little time for anything else. And he was sad. Once, he was sitting near Baba and Baba gave him an excellent way of overcoming the problem. Baba said, “You want that you should have my thoughts through out the day - Isn’t it ? Then try to see me in the smallest of the things.” Nanasaheb failed to get the point. Then Baba clarified, "Are, when you see a vegetable, think that it is my creation. This way see me in each and everything that comes before you." How simple was the remedy suggested by Baba ! Once, Baba posed a question to Nana, “Which is one of the Shadripu (six vices of human nature) is easier to conquer ?” Nanasaheb replied, "Very difficult to answer that question.” Baba said, “It is jealousy ! It means not being able to digest the progress of others. It is very easy to win over jealousy. Because, by being jealous, we neither gain nor lose. A person earns wealth and well-being because of his good deeds. Therefore, if someone prospers, it is due to his good deeds and what do we lose ? And so, one must win over the bad quality of being jealous." Page created in 0.468 seconds with 64 queries.